I'm soaking up the last days of summer reading! My two daughters are back in school so I've been enjoying the slower pace, catching up on projects, and of course, reading! 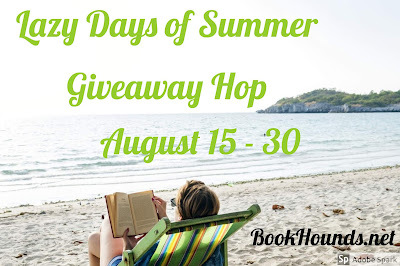 One I loved this summer is The Road to Magnolia Glen by Pam Hillman (read my 5 star review here), and I have an ARC (advanced reading copy) to give away! Enter to win in the Giveaway Tools widget below, and be sure to check out some other blogs on the hop! I seriously loved the history and setting of this story! It's a time and place I know little about, so I was fascinated by the details of life there, the dangers and struggles, the successes and progress. The vibrant characters made it come alive and it was great to see Isabella and Connor's relationship shift throughout the book. The author chose to let us know who the villain is from the beginning so even though it wasn't a mystery who was causing the destruction, there was still heightened tension and I couldn't help but want to warn Isabella! It was admirable to see how Connor helped Isabella's father recuperate in body and mind, and his strength was able to continue as the foundation of Breeze Hill. 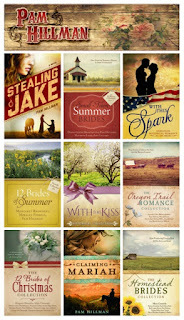 The sweet romance is woven throughout various hardships and challenges, and I loved every minute of reading this book. Highly recommend to fans of Laura Frantz and Tamera Alexander! 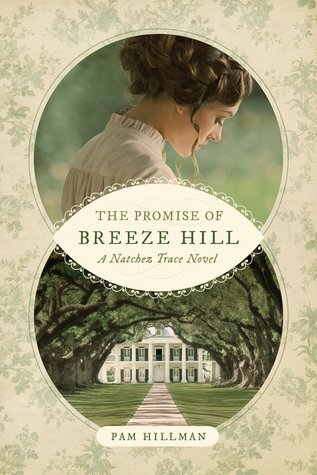 Coming August 2017 is a new historical novel from Pam Hillman, The Promise of Breeze Hill. Isn't that cover lovely?! I've loved every story I've read by Pam Hillman so this is one I'm really looking forward to! Ah, I love stories of unrequited love! You can just feel Samuel's longing for Annabelle, but he wants to wait until his fledgling business has the means to support a family before he declares his affections. Even though he'll miss her, he doesn't say anything to put a damper on her trip. The sweetness of the story comes from Annabelle's slow awareness of Samuel as an extremely attractive man with his strength, steadiness, and quiet humor. This novella was such a pleasure to read! For only 99 cents, it's a fabulous deal for a delightful story. 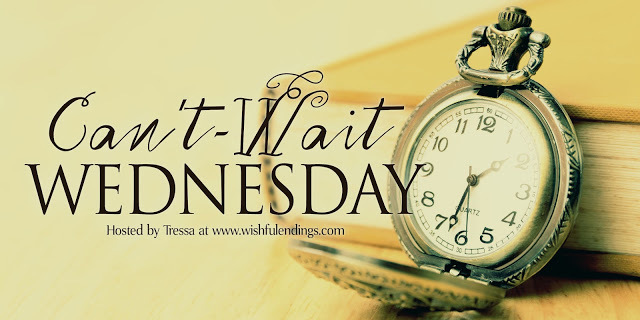 Guest post: Author Pam Hillman! Welcome to author Pam Hillman! She has some great history and pictures to share with us. Be sure to check out her books- I've thoroughly enjoyed each one I've read and can't wait to read more! Sometimes you live within a few miles of something that impacted your community—or the world—and don't even know the significance of it. You might not even know it exists. This happened to me this last year. I was introduced to the Soulé Steam Feed Works, which is about fifty miles from me in Meridian, MS. There are thousands of handcrafted mahogany patterns for large and small gears, balcony railings, andirons, etc. on display throughout the museum. This one was a manhole cover for the city of Meridian, MS.
A nameplate for the lumber stacker manufactured in 1897. Samuel Frazier in The Evergreen Bride would have given his eye teeth for one of these. Soulé focused on servicing the lumber industry from 1892 until the mid-1950s. 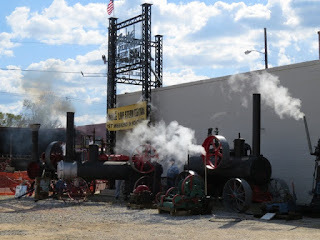 And since I was writing two novellas set in Mississippi in the 1890s focused on the steam-powered logging industry, I found the entire place fascinating. The founder of Soulé Steam Feed Works, George W. Soulé, patented more than 20 items during his lifetime. 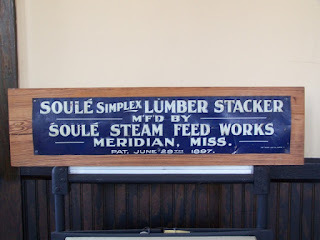 Some of Soulé's most notable products were rotary steam engines, lumber stackers, mechanical log turners, and a cotton seed huller. 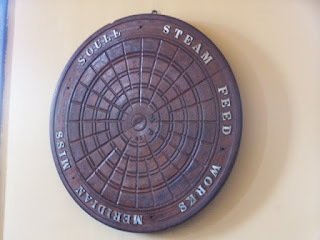 Soulé's steam engines are still in operation today, deep in the forests of India and Australia. 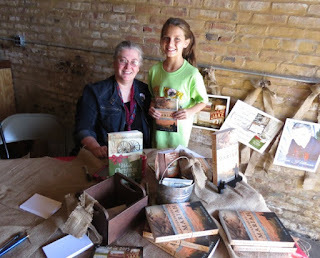 I signed books at the Soulé Live Steam Festival on October 31-November 1, 2014 and enjoyed the experience tremendously. Approximately 2000 people tour the restored buildings and watch the steam engines belch out steam, while reminiscing about the industrial revolution each year at the festival. Given the nature of this event, many of the attendees were male. Late on the first day, one of the museum volunteers and a steam engine enthusiast who'd just arrived hurried into the area where I’d set up my table next to the welcome desk. Both men looked like two kids on Christmas morning. The enthusiast had brought a steam whistle that was so large he hadn't been able to build up enough steam to blow it. 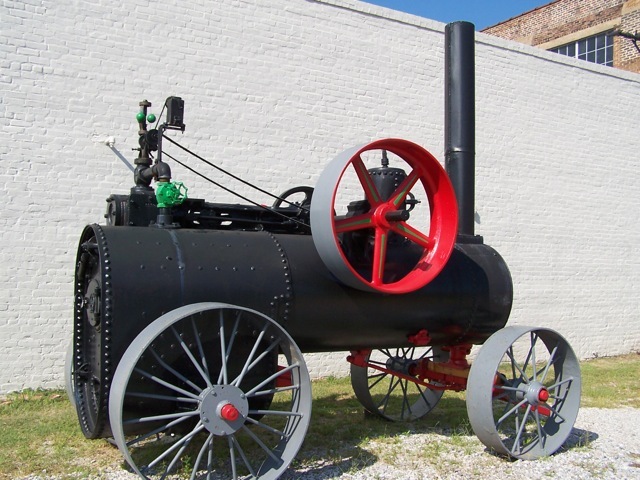 They made plans to connect it to a bigger steam engine so they could try it out. Manual Underwood typewriter. One of the curators at the museum gave me a private tour a couple of months ago, and she said that Mr. Soulé kept everything, so a lot of the antiques are literally pieces that were used in the daily operations of the business. The vault even has copies of receipts and payroll records from the 1890s and early 1900s. Periodically, a loud blast could be heard throughout the whole facility. I later found out that it was a steam whistle (equipped with a safety valve, of course) with a rope pull that kids could pull to make the blast. No wonder we were treated to the whistle multiple times throughout the two-day event! I didn't get as many photos as I would have liked since I was signing books, but I hope to be back in November 2015. There were so many people I would have loved to interview for future blog posts. This is the brick-paved alley between two of the buildings that are part of the museum complex. 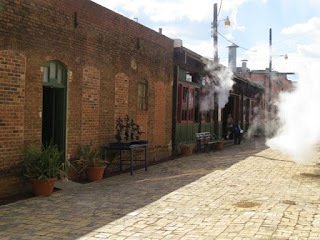 The ambiance between the buildings with the steam billowing out of the pipes was an interesting experience. 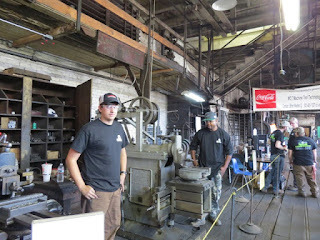 The museum staff and volunteers have done an amazing job restoring the buildings and the steam engines. Hope you enjoyed this trip down memory lane. 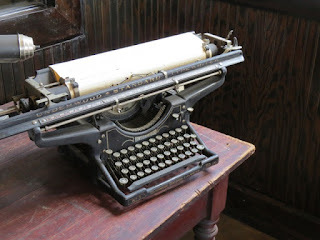 I’d love for you to check out my stories set in this era. 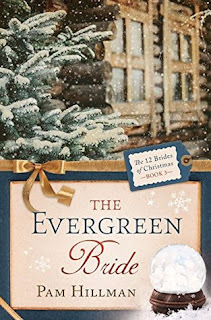 Annabelle's plans for a white Christmas in The Evergreen Bride (12 Brides of Christmas) involve a trip to Illinois to visit her relatives, in particular her cousin Lucy Denson, a dainty petite city gal. 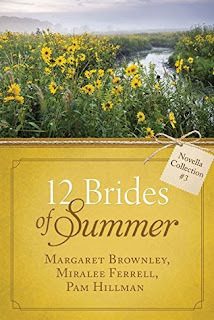 The Lumberjack's Bride (12 Brides of Summer) returns to the same heart of the Mississippi pine belt 18 months later. Many of the characters return in the sequel when the family sawmill and logging operation has expanded. They need additional help and ask for business assistance from Lucy’s father, and he moves the family to Mississippi. 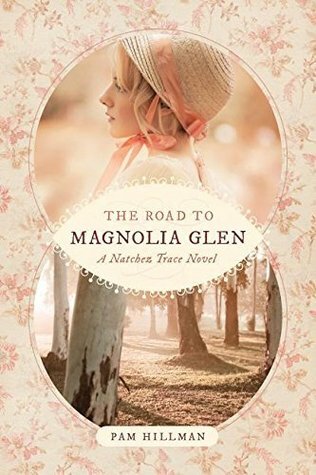 The pretty young woman soon catches the eye of Eli, a rough-and-tumble Mississippi lumberjack in an earth-shattering meeting deep in the forest. 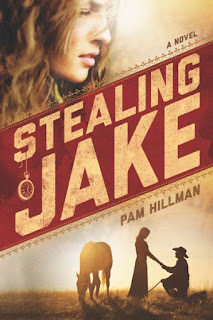 Pam is also excited to share news of her latest full-length novel, STEALING JAKE. When Livy O’Brien spies a young boy jostling a man walking along the boardwalk, she recognizes the act for what it is. After all, she used to be known as Light-Fingered Livy. But that was before she put her past behind her and moved to the growing town of Chestnut, Illinois, where she’s helping to run an orphanage. Now she’ll do almost anything to protect the street kids like herself.